Gramercy Pictures has released a slew of movie clips for Jason Zada‘s The Forest (2016) and a few new photos/stills from James Dittiger. Five new clips further stoke my anticipation for The Forest releasing in movie theaters on January 8, 2016. 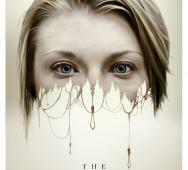 Natalie Dormer (HBO’s Game of Thrones), Eoin Macken, and Stephanie Vogt star in The Forest. 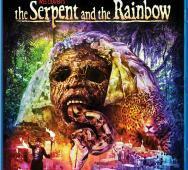 Scream Factory revealed the cover art for Wes Craven‘s The Serpent and the Rainbow (1988) Collector’s Edition Blu-ray a while back but needed time to solidify the bonus features. Now we get to see what they are. The news-worthy bonus features includes a new HD transfer taken from the original The Serpent and the Rainbow inter-positive negatives, a new audio commentary with Bill Pullman, and a “making of” featurette including many interviews. Bill Pullman, Cathy Tyson, and Zakes Mokae star in The Serpent and the Rainbow. 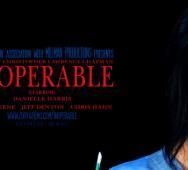 Here is the first look art with Danielle Harris in Inoperable. 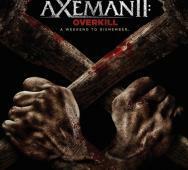 This film is about malevolent forces trapped in a hospital with the outcome being either escape or get trapped forever. Check out the full teaser art below along with the official details on the movie. Finally, some major news for Travis Zariwny‘s Cabin Fever Remake aka Cabin Fever (2016) comes by way of the official release date and a new still revealed via IFC Midnight. There will be a limited theatrical run and On Demand release this upcoming February 16, 2016. The Cabin Fever Remake is produced by Eli Roth, Evan Astrowsky, Christopher Lemole, and Tim Zajaros and stars Gage Golightly, Matthew Daddario, Samuel Davis, Dustin Ingram, and Nadine Crocker. A&E’s Bates Motel Season 4 and A&E’s Damien Season 1 will both premiere this upcoming Monday, March 7, 2016. 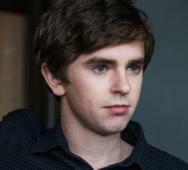 Bates Motel will at 9:00 pm EST followed by Damien’s pilot premiere at 10:00 pm EST. I am psyched to see the return of Norman Bates but to be honest, I am not feeling the Damien promos but will test the waters on premiere night. Full details below on each TV series and casting. 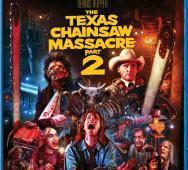 Scream Factory just announced Tobe Hooper‘s The Texas Chainsaw Massacre 2 (1986) Collector’s Edition Blu-ray release date and revealed the cover art. The Blu-ray releases this upcoming April 19, 2016, with new cover art by Joel Robinson. No details have been released yet on the special features included in this Blu-ray release but continue below for the official Scream Factory press release. Dennis Hopper, Caroline Williams, and Jim Siedow star in The Texas Chainsaw Massacre 2. This trailer is up there with Marvel and DC Comics productions. This first teaser trailer for Defenders is short and sweet. 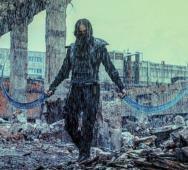 The video features a team of superheroes during the Russian Cold War standing up to defend the Earth. You get a taste of each heroes’ power. The film is set to release sometime this 2016 year, not too sure about a US release though but I do not mind English subtitles. 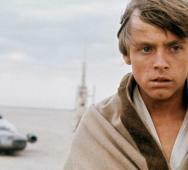 This video is seriously hilariously funny featuring the original Star Wars cast Bad Lip Reading singing Bushes of Love. I found myself humming the lyrics and watching the video a few times more. Obi-Wan Kenobi (Alec Guinness) sings to a young Luke Skywalker (Mark Hamill) about some really funny nonsense. Tell us what you think about this funny video in the comments below. Xander Berkeley is [Spoiler] in THE WALKING DEAD SEASON 6! Xander Berkeley has been cast in AMC’s The Walking Dead Season 6 but now we have the details on who he will be playing. 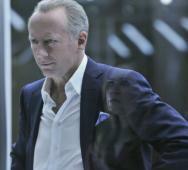 Xander Berkeley will be playing Gregory, who is the leader of Hilltop Colony. This colony is a community similar to what Rick has been trying to create with his group this season. Follow the link below if you want to know everything about Gregory’s character. 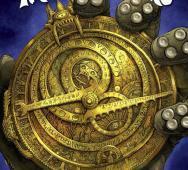 Guillermo del Toro and Daniel Kraus’ Trollhunters released this past Summer 2015 and Netflix has already picked up the rights for the new TV series. The young adult novel takes place in a dark fantasy world that, thanks to Netflix, will release as an animated series adaptation later this year. That is awesome news, and I cannot wait to hear the official release date. For full details on the press release and a brief description on Trollhunters, read below. 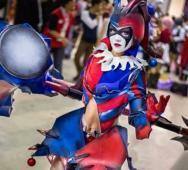 Check out this awesome Harley Quinn cosplay inspired by the Square Enix action figure. Cosplayer Yugana Senshi Uon created this cosplay costume that is based on the Square Enix’s Play Arts Kai variant action figure. Forat Shot took the photos, and they look great. Leave your comments below. Starz’s Ash vs Evil Dead Season 1 Finale episode airs this upcoming January 2, 2016, and I for one am excited to see how this ride ends. Rick Jacobson directs this episode, and I think this horror TV series will end in a major bang making us wish that Starz had ordered a full season of Ash vs Evil Dead. 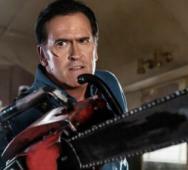 This episode 10 clip is titled “Undo Button.” This clip stars Bruce Campbell and Lucy Lawless.